Space– the final frontier. It’s scary to think that we’ve only explored a tiny fragment of our universe and even scarier that we don’t fully know what is actually out there. However, our curiosity for the great unknown spans hundreds of years back to ancient civilizations such as the Mayans and the Greeks. Our ancestors have always been interested in the great heavenly bodies above them, trying to understand what those lights in the sky are and trying to make sense of what they were actually seeing. They’ve proposed theories and have conducted studies to understand what, at first, they could not. Even now in the modern era, scientists at the National Aeronautics and Space Administration are still studying and exploring new ways in space exploration and they’ve come far in the last hundred years. Here are ten amazing space discoveries that greatly changed how we see and understand the world. Exo-Planets are planets that orbit a different star other than our Sun. The discovery of other planets is considered to be one of the most amazing and influential discoveries every made simply because it changed the way on how we saw the world as it was. Our ancestors never knew about the existence of other planets and that led to the thinking that earth was everything and the only one. However, the discovery of other planets changed that. This discovery paved the way for more ideas and started the want for more understanding of space. Even now we still wonder if we are ever alone, and the continual discovery of more planets outside our own solar system makes us think that we aren’t. Yes, those tiny lights in the sky aren’t just for show. Stars have played a great role in shaping humanity. They’re modernly known as a way of seeing the future and is a subject for most fortune telling but their use goes back to hundreds of years as a method of navigations. Ancient adventurers relied on the stars to know where they were going especially when they were traveling at sea where there would be only water for miles on end. They discovered ways in associating the stars to the direction which was a big feat in ancient times considering their technological level. Without stars, new civilizations wouldn’t have been discovered and people wouldn’t be where they are now. What are they? They’re regions in space created from the death of a star. They have a very strong gravitational pull that light can’t escape it and are actually invisible. Scientist know that they are there because they study the things that surround it – like the behavior of stars in its proximity. Because of how little we know about them there are theories that suggest that black holes are entrances to other dimensions. This theory isn’t impossible; however, we might not be able to prove it yet because of our technological level. Nevertheless, it is amazing to think that there is such a possibility. In ancient times, we believed that Earth was the center of everything. However, it has been disproven time and time again. We now know that Earth is part of a Solar System which part of the Milky Way galaxy – our home. The discovery of galaxies has changed the way we see space because of the fact that there isn’t only one, there are billions. Each one containing billions of stars and millions of planets which raises the possibility of life. Life outside of earth is something that both scares and intrigues us. We continually ask ourselves whether we are alone in this universe. Throughout the years many theories have popped up regarding sightings of Aliens and the idea that life exists outside our home planet. Recently, there have been discoveries that there are tiny life forms in stasis inside ice outside of earth. The temperature in space reaches -270.56 °Celsius and the discovery of ice sent shockwaves in the scientific community because the presence of water gives the probability that life exists which after all these years has been proven in the form of tiny life forms frozen in ice. This gives us new theories on where we all came from as well us give us an insight to the history of certain planets through the information stored in them. Scientists have yet to prove what Dark Energy and Dark Matter are; however, they do know what it does. It accelerates the universe’s expansion and other than that it is a complete mystery. Although mostly unknown, scientists have actually measured how much Dark Energy there is and it comprises 68% of the universe while 27% is made up of Dark Matter while the rest – everything that we’ve seen and observed – only comprises 5%. That is quite shocking because that means that we only know 5% of our universe and it’s amazing to think about what is out there. They are the brightest things in the universe. 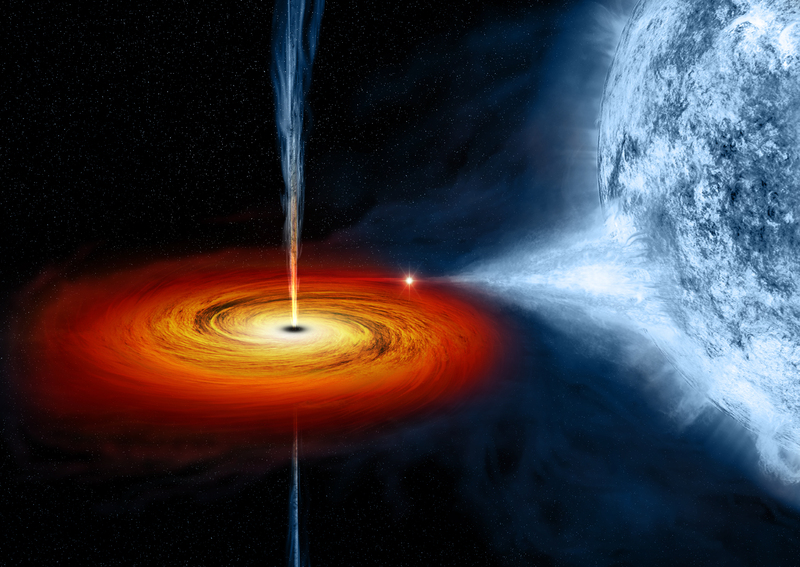 Quasars exist in areas where there is a supermassive black hole which helps power them up by accelerating particles to the speed of light. They emit energy so powerful that it’s greater than the energy of all stars in a galaxy combined. If we are able to harness this in the near future tons of possibilities would be opened up in technological advancement. With an energy source that great, we wouldn’t need to rely on fossil fuels anymore and a new age of humanity will surely emerge. 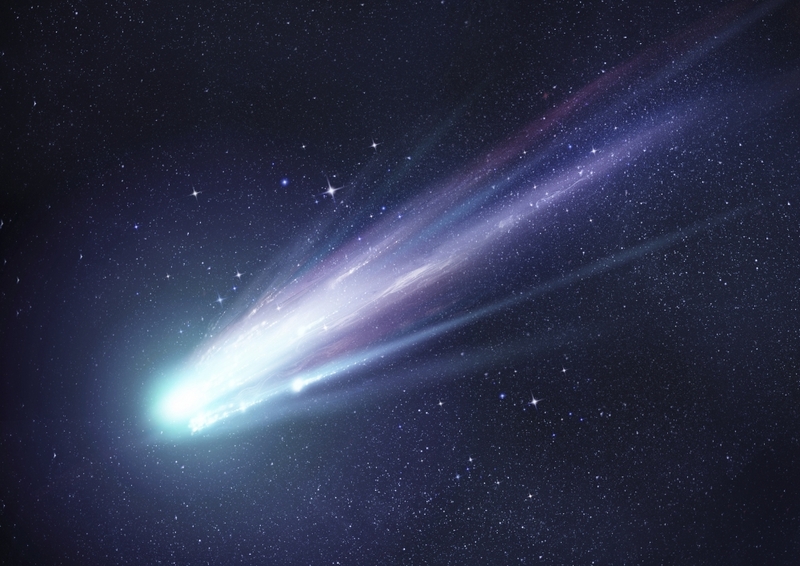 Asteroids are made up of metal and rock while comets are usually full of ice. These heavenly bodies come from space and some have hit earth in the past. 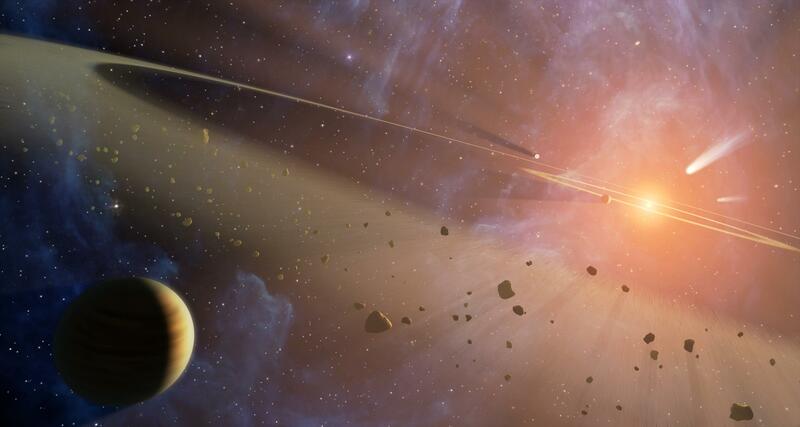 Scientists have speculated that life started on Earth because of an asteroid/comet that hit millennia ago that brought the first life forms that slowly evolved into what is today. They also hold information on where certain metals come from and basically tell us a story on the origin of things. Have you ever wondered why distance in space is measured in light years? Light year is actually the distance a beam of light travels in a year. One light year is actually equal to 9,500,000,000,000 kilometers. And this measure of distance by one light year alone tells us how huge the universe actually is. This discovery is quite influential in space travel because scientists are able to gauge how far things actually are and how long an expedition would actually take. For example, Alpha Centauri – which is the closest star other than our sun – is actually 4.35 lightyears away which, in kilometers, is 4.1154 x 1013. Space is really still a mystery, though it’s already amazing how a few discoveries have already shaped a lot of how we think. In the coming years, it would be of no surprise that there would more discoveries and as a result, a more understanding of our universe.